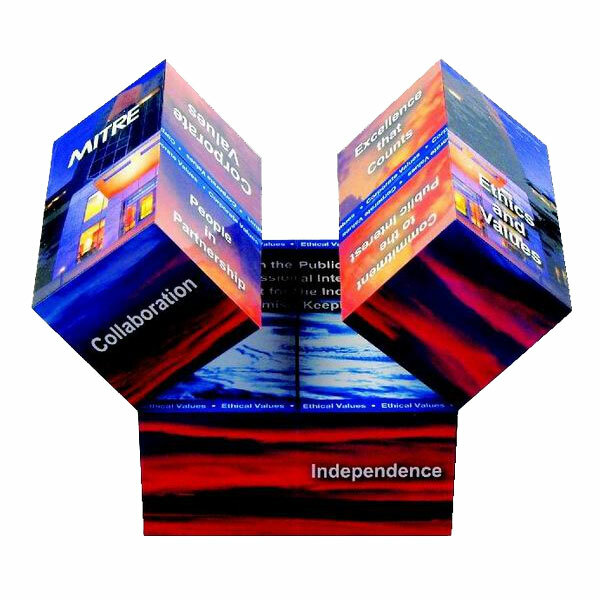 The Magic Cube(R) turns into a flight of stairs, then into a cuboid. Picture follows upon picture, text upon text in an infinite loop. 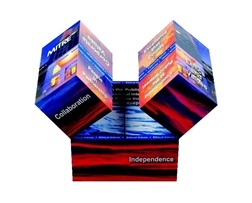 For product launches, as a 3D catalogue or an invitation, you can rely on the communication magic of the Cube.